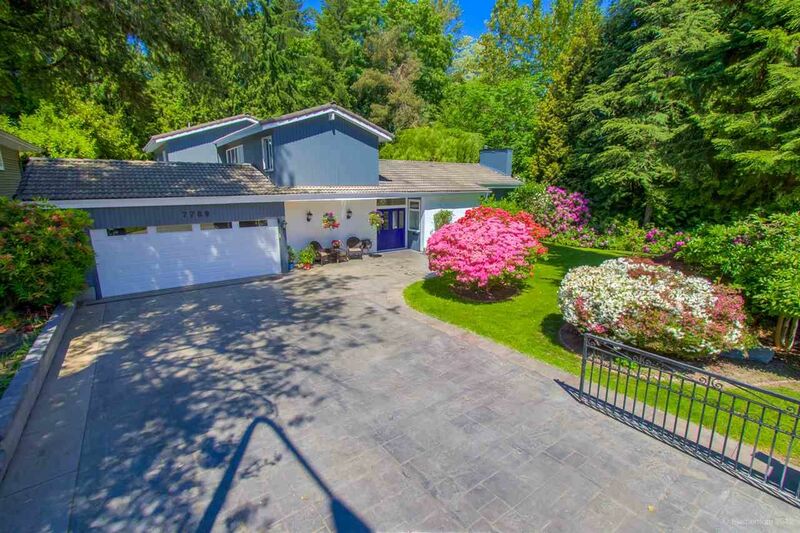 Amazing value for 6 bedroom & den, 4 bathrooms, over 3300 sqft of living space on large 49.5 x 110.5 level lot w/ South facing, fenced grassy yard w/gardens & fruit trees. Home is in move in condition offering many updates. Upstairs w/4 bedrooms, 2 bathrms, large oak kitchen w/eating area to covered South sundeck & spacious family room, diningrm & livingrm with f/p. Masterbdrm w/4 pce ensuite. Ground level offers self contained renovated 2 bedroom, 2 bathrm suite w/1500 sqft & w/shared laundry. New 2010 Vinyltech windows w/15 yr warranty, 2012 new boiler & hot water tank, new skylights 2009. Double car garage & lots parking on driveway. Built in newer Vacuum, security system. Near Skytrain, transit, all schools, shopping & parks. SEE VIDEO & FLOORPLAN AT AGENTS WEBSITE. Call now! I have listed a new property at 7789 KENTWOOD ST in Burnaby. RARE 3/4 acre (32,234sqft) estate sized private lot on Govt Rd's most sought after streets w/in-ground pool & hot tub on its own island! Updated 4 bedrm 3 bathrm inviting home has vaulted ceilings & lrg windows showcasing the vast natural landscape incl(salmon bearing) Eagle Cr. Lots of parking on stamped concrete driveway & oversized double garage. Redesigned kit w/island opens to eating area & sunken living rm w/gas f/p, wet bar, den & two french doors out to back patio & massive deck w/gazebo. Formal dining rm/living rm will handle lrg gatherings. Recharge in the private Master Bedrm w/lrg window & solarium taking in the stunning park-like backyard. 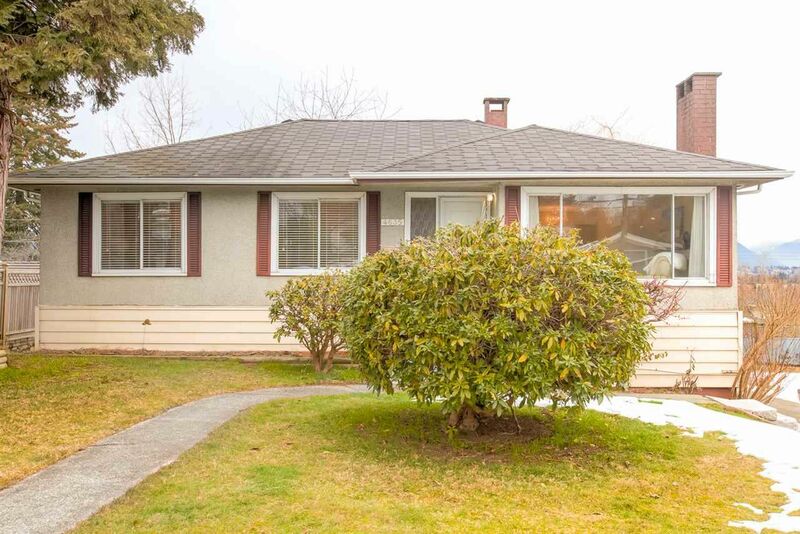 Central Burnaby location near all forms of transit, parks, top schools & 20 mins to D/T. Goto Realtors website for more info/pics/video. 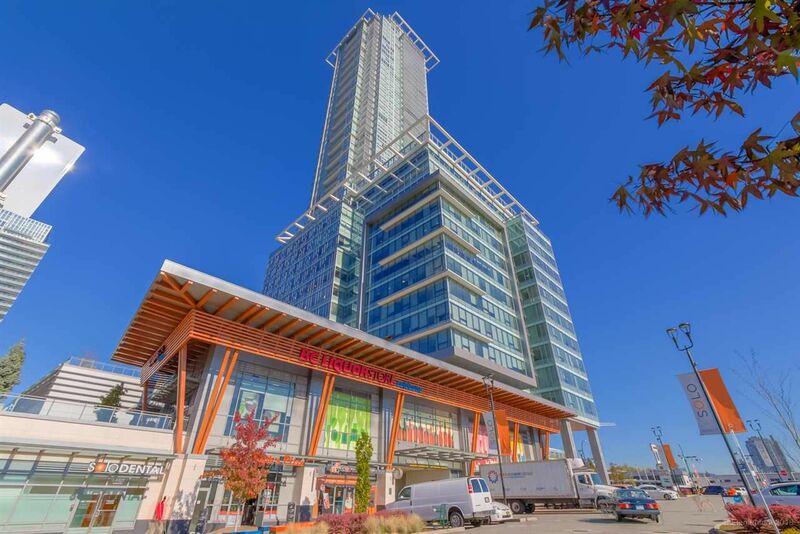 I have sold a property at 7063 GOLDEN ST in Burnaby. Completely updated exterior & interior, 4 bedroom, 2 bathroom family home on quiet Golden st on level 70 x104 lot w/lane access & one of the nicest streets in Montecito. Home sparkles w/pride of ownership w/over 2200sqft. Enter into tiled foyer w/ large livingrm w/electric f/p & tiled wall. Formal diningrm w/sliders to wrap around sundeck overlooking park like gardens, cement patios & fully fenced. Updated kitchen w/quartz counters, s/s appliances & eating area. Reno'd main 3 pce bathrm w/heated floors. Basement offers huge recroom, 4th bedrm, updated 3 pce bathrm & laundry area. Newer electric panel/wiring/plumbing/windows/lighting & designer paint schemes. Workshop & storage. Near all level of schools, parks, SFU & transit nearby. SEE VIDEO. Open House. 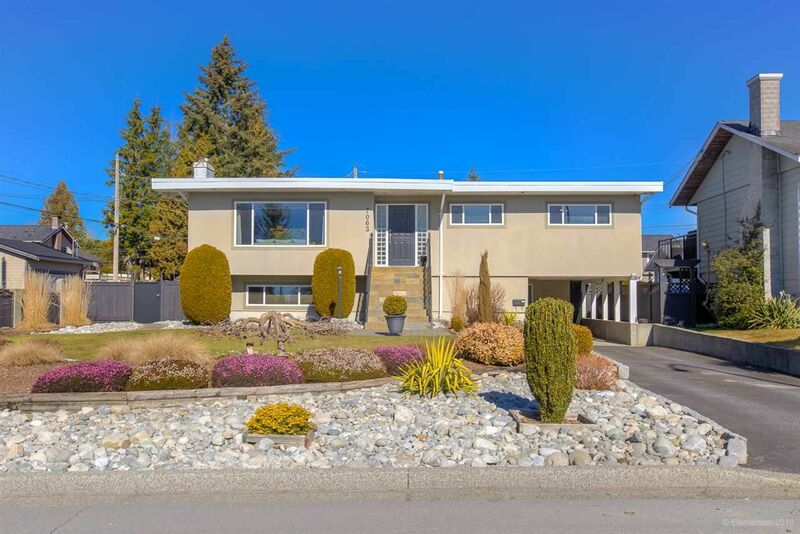 Open House on Saturday, March 16, 2019 1:00PM - 4:00PM Come to OPEN HOUSE 1-4pm Sat ! Open House on Saturday, March 16, 2019 1:00PM - 4:00PM Come to OPEN HOUSE 1-4pm Sat ! Please visit our Open House at 3327 LAKEDALE AVE in Burnaby. Custom built 12 yrs ago to high standard, 5 bedrm & den, 5 bathrms, almost 6000sqft family home on huge 10,935 sqft lot on quiet cul de sac in popular Govt Rd area. Well kept & quality built w/formal livingrm w/gas f/p, massive diningrm plus a built in eating area off gourmet kitchen w/22ft ceilings w/skylight, breakfast bar & viking gas stove, 2 dishwashers & office adjacent. Large familyrm w/sliders out to heated patio w/gas f/p & outdoor built in BBQ. Many built ins thru out home. Rare 5 bedrm up w/3 bathrms. Masterbdrm retreat w/reno'd 5 pce luxury ensuite. Down offers stamped concrete flr, radiant heating & two media rooms w/wet bar could be 2nd kitchen, recroom, playroom, den & storage. Lrge driveway w/double garage. Near all schools, Bby Lake, SFU, skytrain & Costco. SEE VIDEO! I have sold a property at 1032 GLENAYRE DR in Port Moody. I have sold a property at A 2266 KELLY AVE in Port Coquitlam. Luxury 3 bedroom, 3 bathroom over 1700sqft townhouse in central location near downtown Poco on quiet street. European craftsmanship & quality throughout. Showhome move in condition offering open concept living. Enter into foyer w/livingroom, electric f/p & sliders out to front patio. Gourmet large kitchen w/huge granite island & s/s appliances. Spacious dining room & 2 pce bathrm. H/W floors, crown moldings & 9ft ceilings on main. Mudroom off single car garage plus 2nd parking stall. Upstairs offers very large masterbedrm w/4pce ensuite bathrm. Two more bedrms plus 3pce bathrm. Brand new carpet upstairs. Small 4 unit, well maintained 10 yr old complex Mimara. Near all schools, parks, all shopping, Poco trails & near new Rec center. SEE VIDEO ! I have listed a new property at 4635 BOND ST in Burnaby. *OPEN HOUSE SAT 2-4pm. Great value & investment for top location in Forest Glen area w/North Shore Mountain views on level 60 x 115 lot w/lane access, R4 Zoning. Over 2300 sqft family home in clean condition w/3 bedroom up, 2 kitchens, 2 bathrooms & separate entrance in walk out basement w/storage. Upstairs offers Oak H/W floors thru out, spacious livingrm w/wood f/p & formal diningroom. Huge Sundeck off kitchen. Double sinks main 5pce bathrm. Basement mortgage helper w/huge recroom w/wood f/p. Top location near Ecole Moscrop Secondary, Ecole Marlborough Elementary, BCIT, Metrotown & Crystal Mall shopping, Bonsor Rec centre & easy access to transit & commuting. SEE VIDEO !!! Open House. Open House on Saturday, March 9, 2019 2:00PM - 4:00PM Come see this special home ! Great investment and amazing views! Open House on Saturday, March 9, 2019 2:00PM - 4:00PM Come see this special home ! Great investment and amazing views!  I have listed a new property at 7063 GOLDEN ST in Burnaby. *OPEN HOUSE SAT & SUNDAY 2-4pm. Completely updated exterior & interior, 4 bedroom, 2 bathroom family home on quiet Golden st on level 70 x104 lot w/lane access & one of the nicest streets in Montecito. Home sparkles w/pride of ownership w/over 2200sqft. Enter into tiled foyer w/ large livingrm w/electric f/p & tiled wall. Formal diningrm w/sliders to wrap around sundeck overlooking park like gardens, cement patios & fully fenced. Updated kitchen w/quartz counters, s/s appliances & eating area. Reno'd main 3 pce bathrm w/heated floors. Basement offers huge recroom, 4th bedrm, updated 3 pce bathrm & laundry area. Newer electric panel/wiring/plumbing/windows/lighting & designer paint schemes. Workshop & storage. 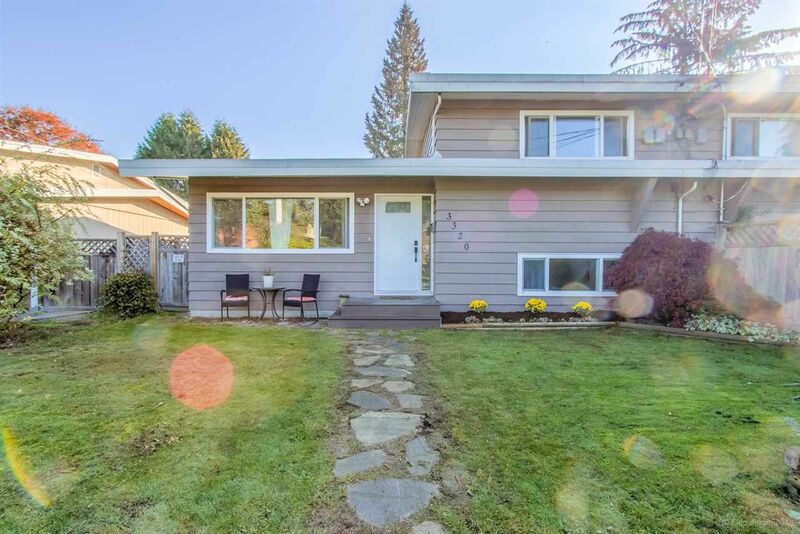 Near all level of schools, parks, SFU & transit nearby. SEE VIDEO. Please visit our Open House at 7063 GOLDEN ST in Burnaby. 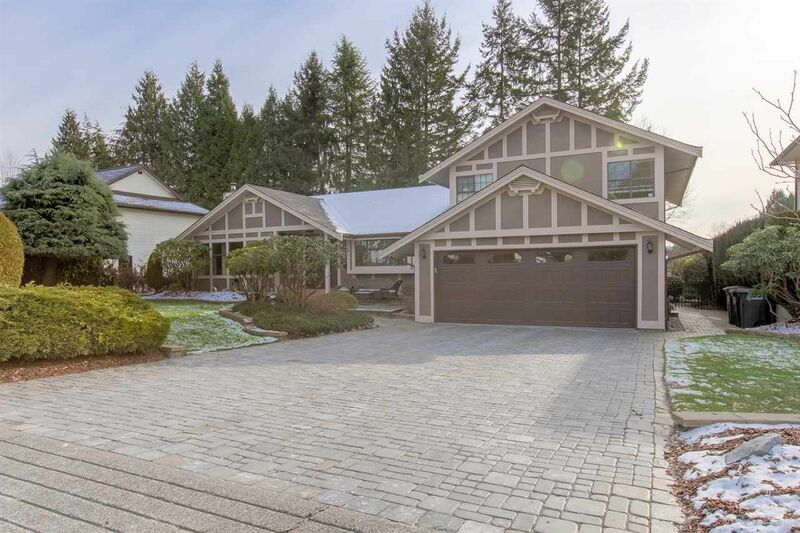 I have listed a new property at 1032 GLENAYRE DR in Port Moody. *OPEN HOUSE SAT 2-4pm. Substantially rebuilt 14 yr family home with a complete renovation inside & exterior in 2005 w/permits to a very high standard. Over 2300sqft, 4 bedroom, 3 bathroom on large level 8181sqft corner lot in the desirable Glenayre/College Park. Home sparkles with pride. Enter foyer w/great room, open concept living & vaulted ceilings, gas f/p w/large gourmet kitchen w/island & spacious eating area. Quality rustic cherry H/W floors thru out. 3 bedrms on main with masterbedrm 3 pce ensuite. Basement offers a media/rec room w/built ins, Mud/flex room area & laundry + 1 year new washer/dryer. Mortgage helper one bedrm s/c suite w/ laundry hooks ups. Huge 22x28' detached garage + RV parking. Walk to Glenayre & Banting Middle schools, parks, Evergreen Train, SFU. SEE VIDEO! Open House. Open House on Saturday, March 2, 2019 2:00PM - 4:00PM Come view this special home 2-4pm SAT ! Please visit our Open House at 1032 GLENAYRE DR in Port Moody. Open House on Saturday, March 2, 2019 2:00PM - 4:00PM Come view this special home 2-4pm SAT ! **OPEN HOUSE SAT FEB 23 2-4 PM! ** Stunning 5 bedrm 4 bathrm, 3036 sqft home in prestigious Government Rd area offers an ideal open floorplan, perfect for everyday living or elegant entertaining. Expansive gourmet kith w/48" Thermadore gas stove, centre island hub & sunny eating area. All newer appliances. Kitchen, Family Rm & large den all connect into a Great Room concept leading out to a massive 2 tiered deck & patio area! All 4 bathrms are luxuriously appointed. Bright ground level area works well as in-law/nanny area w/ separate entrance to rear patio & gardens. 4 bedrms upstairs! Recent updates incl waterproofed & insulated crawl space, new furnace & 50 gal h/w tank, professionally painted inside & out, updated H/W flooring & bathrms. Move in condition. SEE VIDEO & FLOORPLAN. I have listed a new property at 7960 WESTLAKE ST in Burnaby. OPEN HOUSE SAT & SUN FEB 16 & 17 2-4PM! Stunning 5 bedrm 4 bathrm, 3036 sqft home in prestigious Government Rd area offers an ideal open floorplan, perfect for everyday living or elegant entertaining. Expansive gourmet kith w/48" Thermadore gas stove, centre island hub & sunny eating area. All newer appliances. Kitchen, Family Rm & large den all connect into a Great Room concept leading out to a massive 2 tiered deck & patio area! All 4 bathrms are luxuriously appointed. Bright ground level area works well as in-law/nanny area w/ separate entrance to rear patio & gardens. 4 bedrms upstairs! Recent updates incl waterproofed & insulated crawl space, new furnace & 50 gal h/w tank, professionally painted inside & out, updated H/W flooring & bathrms. Move in condition. SEE VIDEO & FLOORPLAN. I have sold a property at 3273 MATHERS AVE in West Vancouver. 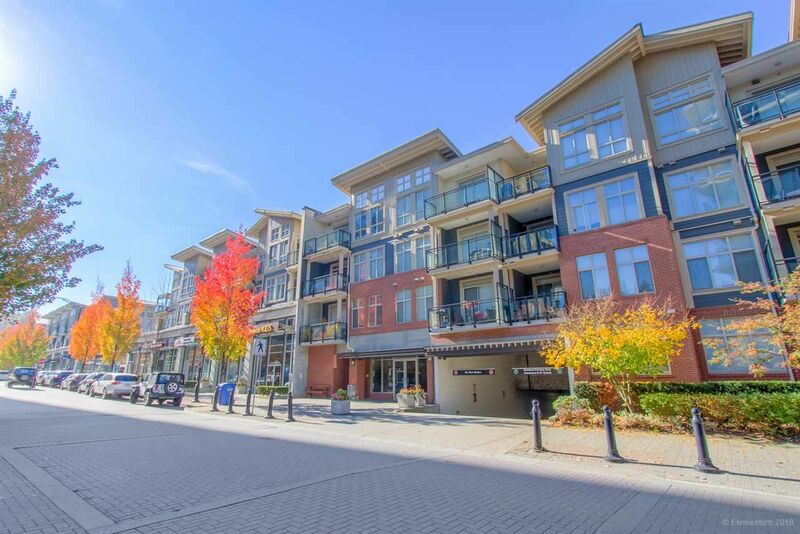 I have sold a property at 3320 EDINBURGH ST in Port Coquitlam. I have sold a property at 4202 4485 SKYLINE DR in Burnaby. Rare & one of a kind luxury 3 bedrm, 3 bathrm corner unit on 42nd floor in ALTUS SOLO tower w/1800sqft offering panoramic 180 degree South/West/North views of City, Ocean & Mountains. Custom designed upon pre construction w/Bosa to combine 2 separate units. Impressive layout w/large open gourmet kitchen w/Miele penthouse appliance package, quartz counters. Spacious livingrm & electric f/p & sliders to massive balcony w/built in outdoor kitchen w/2 new BBQs. Huge diningrm area & wet bar w/Miele wine fridge open to familyroom w/2nd SW corner balcony. Den/study area near the 3rd bedrm. Geothermal heating & A/C. 2 sets of laundry's. BONUS of rare 3 car garage w/electric car set up + 4th stall near elevator & 4 lockers. Concierge service, Club 55, gym, rooftop patio areas. SEE VIDEO ! I have sold a property at 419 101 MORRISSEY RD in Port Moody. Top floor penthouse one bedrm, one bathrm in popular Libra building in Suterbrook Village. Open concept West coast living w/vaulted ceilings & lots of windows in living room plus electric f/p & a spacious dining room. Kitchen offers bar seating w/granite counters, s/s appliances & gas range. Large east facing balcony w/sliders off master bedroom w/walk in closet. One parking stall but can rent 2nd stall. Many amenities at the Aria Club w/pool, hot tub, sauna/steam, gym, squash crt, party rooms & guest suite. Near all shops, Thrifty's shopping, Rocky point trails & Evergreen train. Pets and rentals allowed. Great investment! SEE VIDEO! Please visit our Open House at 3320 EDINBURGH ST in Port Coquitlam. OPEN HOUSE SUN NOV 25 2-4PM! 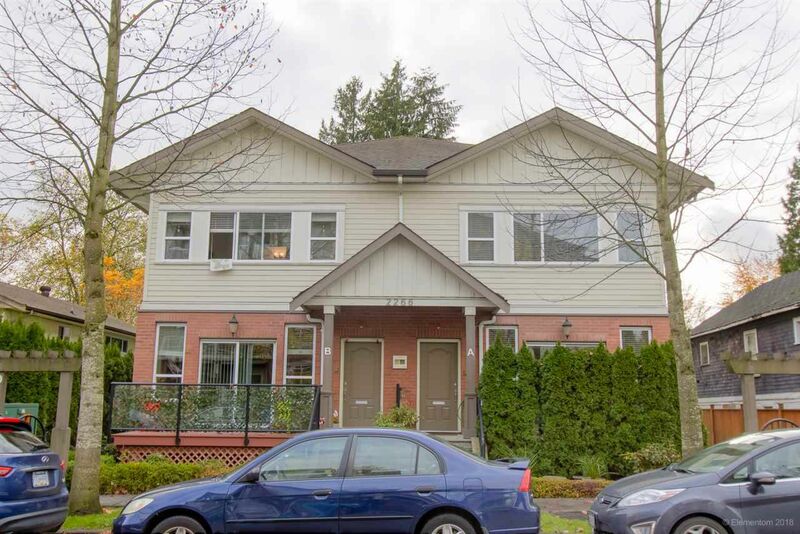 Super clean, move in ready 1/2 duplex in central "family friendly" PoCo location. Set on large level lot 3 bedrm, 2 bath home features updated roof & windows, has lane access, single garage & plenty of parking in front & back. Bright formal livingrm will accomodate large gatherings. Kitchen is spacious & opens to the dining area. Sunken family rm is divine w/double-sided gas f/p & french doors to the private fully fenced backyard oasis w/deck & garden. Upstairs are 2 spacious bedrms & updated 4 pce bathrm. Downstairs is a 3rd bedrm, updated 2 pce bathrm, hobby rm & laundry. No strata fees! Walk to shops, rec centre, transit, elementary & middle schools, Coq River Park & so much more. Beautiful inside & out! SEE VIDEO ! Call now ! 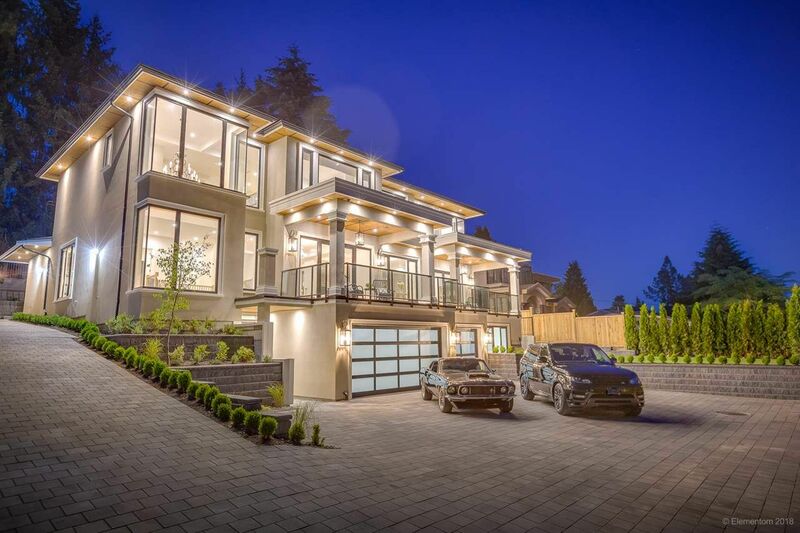 I have listed a new property at 3273 MATHERS AVE in West Vancouver. Architecturally designed 7100 sqft palatial mansion w/sweeping ocean/city views that will take your breath away! South facing lot on the high side of desirable "Mathers Ave" boasting 3000 sqft of hardscaping & manicured gardens creating a private oasis to enjoy the saltwater pool, hot tub & fire pit. Spacious interiors featuring gorgeous millwork, built-ins & fine finishings in every thoughtfully designed rm. Impressive grand foyer w/spiral staircase sets the tone of refined elegance which carries thru-out. Chef inspired gourmet centre-island kit is truly the heart of this home! Upstairs are 5 spacious bedrms w/ensuites including 2 master suites w/covered balconies. Downstairs you'll enjoy the theatre rm, rec rm & wine cellar. View VIDEO & PHOTOS at Realtor's website. Please visit our Open House at A 2266 KELLY AVE in Port Coquitlam. *OPEN HOUSE SUNDAY 2-4pm. Luxury 3 bedroom, 3 bathroom over 1700sqft townhouse in central location near downtown Poco on quiet street. European craftsmanship & quality throughout. Showhome move in condition offering open concept living. Enter into foyer w/livingroom, electric f/p & sliders out to front patio. Gourmet large kitchen w/huge granite island & s/s appliances. Spacious dining room & 2 pce bathrm. H/W floors, crown moldings & 9ft ceilings on main. Mudroom off single car garage plus 2nd parking stall. Upstairs offers very large masterbedrm w/4pce ensuite bathrm. Two more bedrms plus 3pce bathrm. Brand new carpet upstairs. Small 4 unit, well maintained 10 yr old complex Mimara. Near all schools, parks, all shopping, Poco trails & near new Rec center. SEE VIDEO ! *OPEN HOUSE SUN NOV 18 2-4PM! * Super clean, move in ready 1/2 duplex in central "family friendly" PoCo location. Set on large level lot 3 bedrm, 2 bath home features updated roof & windows, has lane access, single garage & plenty of parking in front & back. Bright formal livingrm will accomodate large gatherings. Kitchen is spacious & opens to the dining area. Sunken family rm is divine w/double-sided gas f/p & french doors to the private fully fenced backyard oasis w/deck & garden. Upstairs are 2 spacious bedrms & updated 4 pce bathrm. Downstairs is a 3rd bedrm, updated 2 pce bathrm, hobby rm & laundry. No strata fees! Walk to shops, rec centre, transit, elementary & middle schools, Coq River Park & so much more. Beautiful inside & out! SEE VIDEO ! Call now ! Open House. Open House on Saturday, November 17, 2018 2:00PM - 4:00PM TOP FLOOR VAULTED CEILINGS ! OPEN SAT! Please visit our Open House at 419 101 MORRISSEY RD in Port Moody. Open House on Saturday, November 17, 2018 2:00PM - 4:00PM TOP FLOOR VAULTED CEILINGS ! OPEN SAT! *OPEN HOUSE SUNDAY 2-4pm. Top floor penthouse one bedrm, one bathrm in popular Libra building in Suterbrook Village. Open concept West coast living w/vaulted ceilings & lots of windows in living room plus electric f/p & a spacious dining room. Kitchen offers bar seating w/granite counters, s/s appliances & gas range. Large east facing balcony w/sliders off master bedroom w/walk in closet. One parking stall but can rent 2nd stall. Many amenities at the Aria Club w/pool, hot tub, sauna/steam, gym, squash crt, party rooms & guest suite. Near all shops, Thrifty's shopping, Rocky point trails & Evergreen train. Pets and rentals allowed. Great investment! SEE VIDEO ! 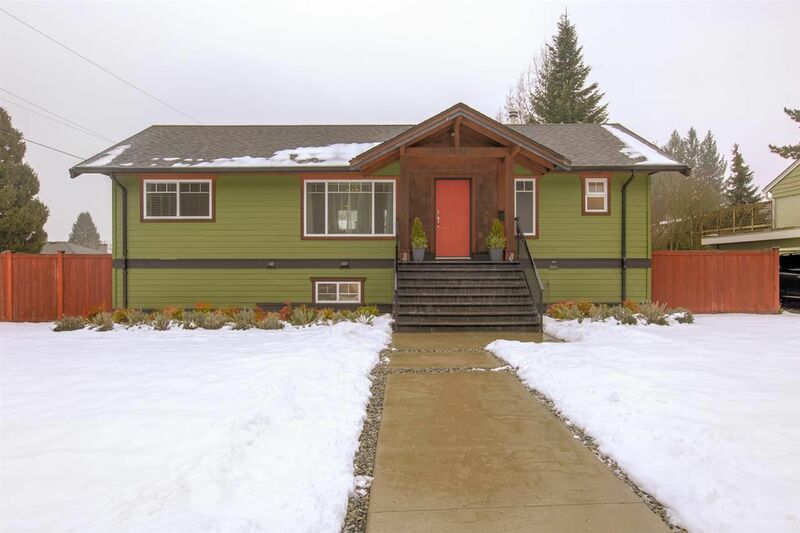 I have listed a new property at 3327 LAKEDALE AVE in Burnaby. I have sold a property at 3689 LYNNDALE CRES in Burnaby. Custom built, Italian builder's family home in new condition in popular Govt Rd Area on quiet cul de sac street. Home sparkles w/pride. Enter into large foyer w/formal livingrm w/gas f/p, diningrm & Den. H/W floors thru out. Gourmet quality kitchen w/6 burner stove, Miele dishwasher, wall oven, granite counters. Bright eating area overlooking familyrm w/gas f/p. Private stoned covered patio overlooking large 17,000sqft landscaped lot. Pantry off kitchen & mudroom into garage. Upstairs offers 4 bedrms & 4 bathrms. Masterbedrm retreat w/sitting area, gas f/p & spa like 5 pce ensuite w/body jets shower & tub. Bonus of legal in-law suite on top floor w/separate entrance, sundeck & laundry. Basement offers wine room, recroom, storage + many large unfinished rooms. Call now. SEE VIDEO ! I have listed a new property at A 2266 KELLY AVE in Port Coquitlam. Open House. Open House on Sunday, November 11, 2018 2:00PM - 4:00PM Luxury 3 bedroom townhome! Open House on Sunday, November 11, 2018 2:00PM - 4:00PM Luxury 3 bedroom townhome! *OPEN HOUSE SAT NOV 10 2-4PM* Super clean, move in ready 1/2 duplex in central "family friendly" PoCo location. Set on large level lot 3 bedrm, 2 bath home features updated roof & windows, has lane access, single garage & plenty of parking in front & back. Bright formal livingrm will accomodate large gatherings. Kitchen is spacious & opens to the dining area. Sunken family rm is divine w/double-sided gas f/p & french doors to the private fully fenced backyard oasis w/deck & garden. Upstairs are 2 spacious bedrms & updated 4 pce bathrm. Downstairs is a 3rd bedrm, updated 2 pce bathrm, hobby rm & laundry. No strata fees! Walk to shops, rec centre, transit, elementary & middle schools, Coq River Park & so much more. Beautiful inside & out! SEE VIDEO ! *OPEN HOUSE SUN NOV 4 2-4PM* Super clean, move in ready 1/2 duplex in central "family friendly" PoCo location. Set on large level lot 3 bedrm, 2 bath home features updated roof & windows, has lane access, single garage & plenty of parking in front & back. Bright formal livingrm will accomodate large gatherings. Kitchen is spacious & opens to the dining area. Sunken family rm is divine w/double-sided gas f/p & french doors to the private fully fenced backyard oasis w/deck & garden. Upstairs are 2 spacious bedrms & updated 4 pce bathrm. Downstairs is a 3rd bedrm, updated 2 pce bathrm, hobby rm & laundry. No strata fees! Walk to shops, rec centre, transit, elementary & middle schools, Coq River Park & so much more. Beautiful inside & out! SEE VIDEO ! Open House. Open House on Saturday, November 3, 2018 2:00PM - 4:00PM Amazing home and property ! A must see! Custom Italian builders own home on 17,000 lot. Please visit our Open House at 3689 LYNNDALE CRES in Burnaby. Open House on Saturday, November 3, 2018 2:00PM - 4:00PM Amazing home and property ! A must see! Custom Italian builders own home on 17,000 lot. *OPEN HOUSE SUNDAY Oct 28 2-4pm*Super clean, move in ready 1/2 duplex in central "family friendly" PoCo location. Set on large level lot 3 bedrm, 2 bath home features updated roof & windows, has lane access, single garage & plenty of parking in front & back. Bright formal livingrm will accomodate large gatherings. Kitchen is spacious & opens to the dining area. Sunken family rm is divine w/double-sided gas f/p & french doors to the private fully fenced backyard oasis w/deck & garden. Upstairs are 2 spacious bedrms & updated 4 pce bathrm. Downstairs is a 3rd bedrm, updated 2 pce bathrm, hobby rm & laundry. No strata fees! Walk to shops, rec centre, transit, elementary & middle schools, Coq River Park & so much more. Beautiful inside & out! SEE VIDEO ! I have listed a new property at 3320 EDINBURGH ST in Port Coquitlam. *Open Sun Oct 28 2-4pm*Super clean, move in ready 1/2 duplex in central "family friendly" PoCo location. Set on a lrg level lot this 3 bed, 2 bath home features updated roof & windows, has lane access, single garage & plenty of parking in front & back. Bright formal living rm will accomodate lrg gatherings. Kitchen is spacious & opens to the dining area. Sunken family rm is divine w/double-sided gas f/p & french doors to the private fully fenced backyard oasis w/deck & garden. Upstairs are 2 lrg bedrms & updated 4 pce bathrm. Downstairs is a 3rd bedrm, updated 2 pce bathrm, hobby rm & laundry. No strata fees! Walk to shops, rec centre, transit, elementary & middle schools, Coq River Park & so much more. Beautiful inside & out! 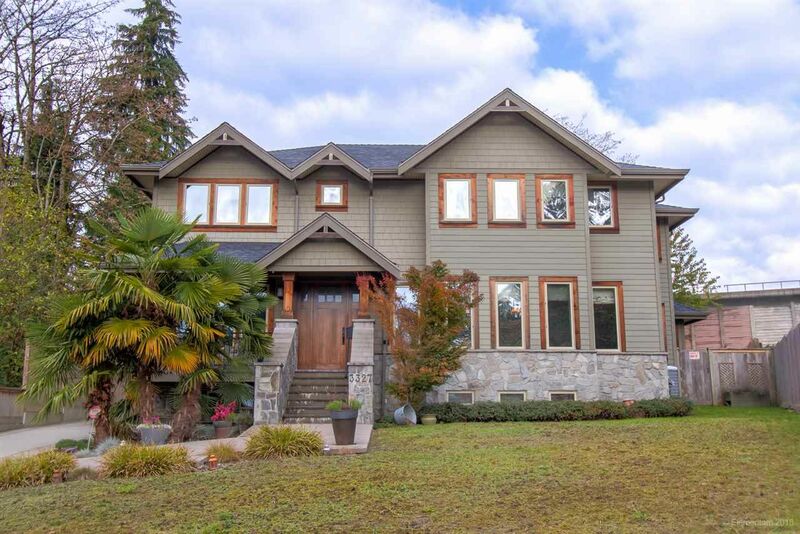 I have listed a new property at 419 101 MORRISSEY RD in Port Moody. Top floor penthouse one bedrm, one bathrm in popular Libra building in Suterbrook Village. Open concept West coast living w/vaulted ceilings & lots of windows in living room plus electric f/p & a spacious dining room. Kitchen offers bar seating w/granite counters, s/s appliances & gas range. Large east facing balcony w/sliders off master bedroom w/walk in closet. One parking stall but can rent 2nd stall. Many amenities at the Aria Club w/pool, hot tub, sauna/steam, gym, squash crt, party rooms & guest suite. Near all shops, Thrifty's shopping, Rocky point trails & Evergreen train. Pets and rentals allowed. Great investment! SEE VIDEO ! I have listed a new property at 4202 4485 SKYLINE DR in Burnaby. I have sold a property at 8307 GOVERNMENT RD in Burnaby. Stunning brand new & luxury dream home located on prestigious Government Road! Exceptional 5800SF West Coast inspired home offers highend designer finishing, 7 bdrms + den, 8 baths & 4 car garage on a 12,600SF lot. Highlights: Open concept layout, gourmet designer kit, Top quality appliances, huge island, Wok kit, main flr bdrm w/ensuite, multiple entertainment decks & lighting & blind automation. Gorgeous Master Bedroom w/spa inspired ensuite & gas fireplace. Also, in-ceiling speakers, wide plank wood flrs, radiant flr heating, HRV, A/C, Euro windows, media rm w/wet bar & legal 2 bdrm suite! Plenty of parking avail on large paving stone driveway. Tiered levels w/artificial turf & huge patio in backyard! Top North Bby location! 2-5-10 warranty. SEE VIDEO! 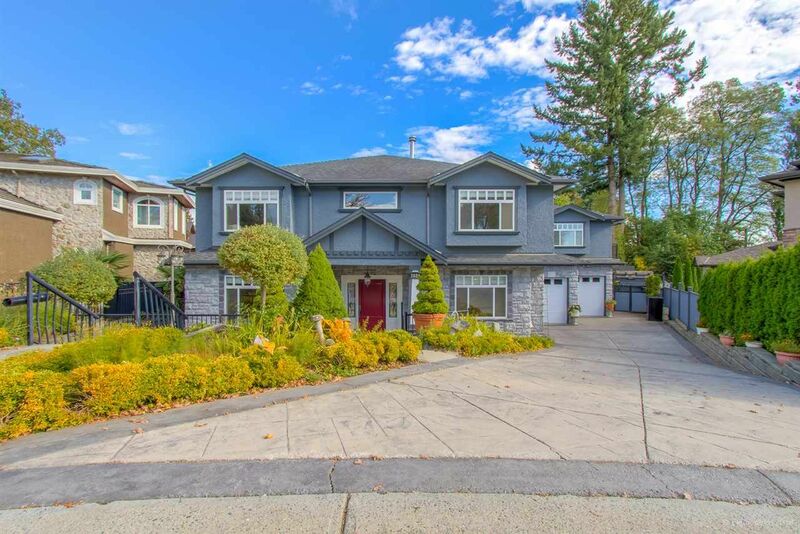 I have listed a new property at 3689 LYNNDALE CRES in Burnaby.